When a new addition to the family comes calling, you may be thinking of all the items you may need. While your mind may be checking off cribs, bottles and diapers, don’t forget that your home may need a bit of baby-proofing. There are the standards such as caps for corners or outlet covers but there may be some large or hazardous items that could pose a threat to the new baby. You can rent a storage locker or secure them in your attic or garage. If you have no space or no longer use the items, consider donating them to family, friends or not-for-profits. When you have exhausted those options and find yourself with piles of these useless things, book a same day dumpster rental and clear that space. Renting a small dumpster with same day delivery will allow you to baby-proof your home quickly and enjoy every moment you wait in anticipation for your bundle of joy to arrive. Our facility offers same day dumpster rental service in Itasca. This location provides a 5 YRD, 10 YRD, 15 YRD, 20 YRD and 30 YRD dumpster for rent. We bring the dumpster via our company trucks and retrieve them when your rental time is complete. We also provide boards to protect your driveway or surface area. 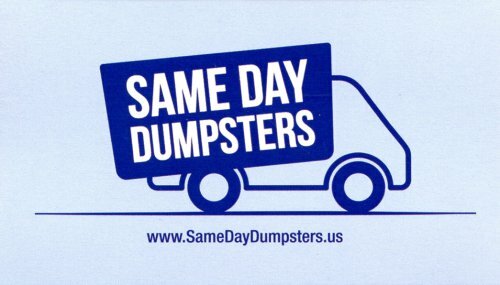 Same Day Dumpsters is a family owned and operated company that has been serving the Itasca area for several years. We pride ourselves in offering high-quality dumpsters quickly and efficiently to serve any request. Whether you have a planned construction project or find yourself needing a cheap dumpster that afternoon because your basement flooded, we have you covered. Our Same Day Dumpster Rental team go the extra mile to make sure you and your projects are top priority. 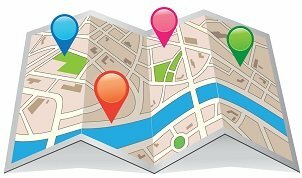 Conveniently located in Burr Ridge, Illinois, we are able to access the Itasca area with lightning quick speed. We have experience serving the needs of fellow Itasca residents such as yourself and are easily adaptable to any dumpster rental request you may have. Our team is geared towards making your project a success and we strive towards making the time you rent a dumpster as easy and stress-free as possible. If you are a contractor or construction company finding yourself in need of a dumpster rental company in Itasca, give us a call. We can accommodate your large renovations, new building project and demolition rubbish removal needs. Our variety of dumpsters can handle your industrial materials and concrete debris. With same day dumpster rentals, we can have that container in and out of your job site quickly and efficiently. So, no matter if you are doing a large commercial roof tear-off or tearing up a foundation, Same Day Dumpsters can help get the job done.